"This Bali hotel is located only three minutes' walk from the major shops and restaurants and 15 minutes from the airport and the capital, Denpasar. The property has set all its 78 accommodation units in sumptuous spacious, walled tropical gardens, which are reminiscent of bygone Kuta. The property has outdoor pool with a poolside snack bar. Sun loungers and parasols laid out for use by the water's edge. Furthermore, guests can also take advantage of relaxing massage treatments. The hotel restaurant serves breakfast, lunch and dinner. Lunch and dinner can be enjoyed à la carte or selected from menu options. For a truly wonderful stay in an idyllic setting, stay at this hotel." This modern hotel opened in 2012 and is located on the corner of Poppies lane 1 and Jalan Pantai Kuta, just a 15-minute drive from Bali international Airport. In the surrounding area guests will find a variety of shops, restaurants and the new Beachwalk Entertainmnet Complex, just a stone's throw away from the hotel. Guests will be pleasantly impressed by the warm hospitality and service to detail. 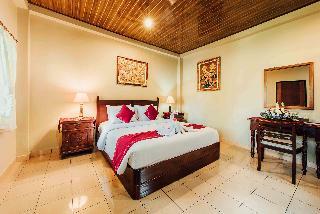 All the rooms feature Balinese design and are equipped with flat screen TV, refrigerator and tea/coffee facility. And if you decide to pamper your taste buds, the Sandbar restaurant offers quality authentic Mediterranean cuisine and a wide selection of local dishes. Guests can also unwind in the bar or have a moment of relaxation in the new Tari Spa, where they will be spoilt with the very latest in beauty treatments or choose between individual o couple's massages. This hotel is a great choice for those wishing to escape everyday routine. they will find a Poppies Lane I. The hotel is just in the corner of this lane. Conveniently located beside the renowned sprawling, sandy Kuta Beach this resort enjoys a stunning beach location yet is close to the heart of the city. Kuta Seaview Boutique Resort & Spa offers guests the opportunity to revel in the indescribable beauty of magnificent sunsets from the amidst serene surroundings. The resort is situated only a short walk away from the renowned Kuta nightlife and restaurants and the city of Denpasar is just a 20 minute drive away. The intrinsic beauty of the surroundings are complemented perfectly by the elegant simplicity of the resort making guests feel completely immersed a rich natural atmosphere. Luxurious accommodation options and high-quality amenities and facilities including fine-dining options, an attractive pool area and a massage service leave guests wanting for nothing. 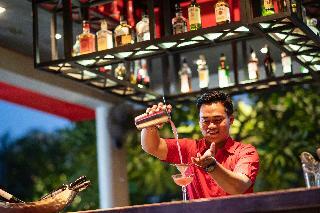 Situated in Kuta Balisandy Resorts is the perfect place to experience Bali and its surroundings. From here guests can enjoy easy access to all that the lively city has to offer. For those of you who want to venture out Rosso Vivo Kori The Rych are just some of the attractions available to visitors.Offering hotel guests superior services and a broad range of amenities Balisandy Resorts is committed to ensuring that your stay is as comfortable as possible. While lodging at this wonderful property guests can enjoy 24hr room service coffee shop valet parking Wi-Fi in public areas shops.The ambiance of Balisandy Resorts is reflected in every guestroom. satellite/cable TV daily newspaper television LCD/plasma screen complimentary bottled water refrigerator are just some of the facilities at your disposal. The hotel offers fantastic facilities including spa massage pool (kids) outdoor pool garden to help you unwind after an action-packed day in the city. 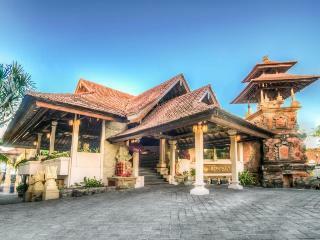 Balisandy Resorts is an ideal place of stay for travelers seeking charm comfort and convenience in Bali. 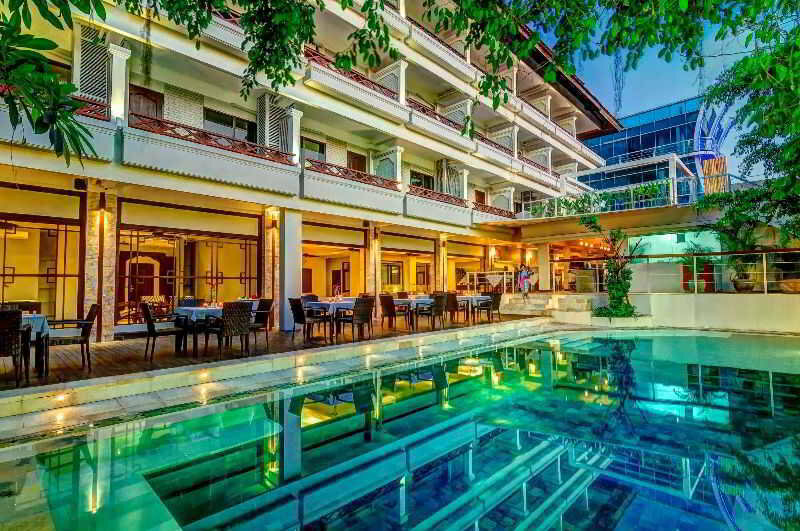 "Located on Pantai Kuta Street, the hotel is just 20 minutes' drive from the Bali International Airport and within walking distance of the famous Kuta Beach and Legian Street. 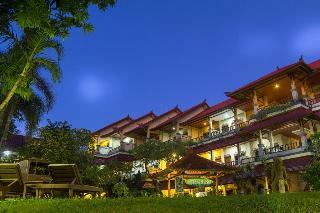 This hotel, designed with its luxurious Balinese style rooms, is completed with modern facilities. 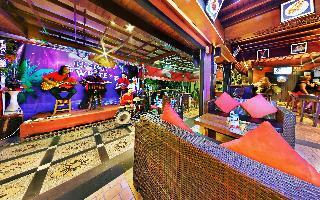 Its private atmosphere offers a great way to spend a holiday. The excellent personnel and the family-friendly service is the hotel's trademark for an unforgettable stay. 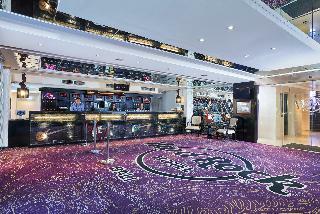 Comprising 39 rooms, the air-conditioned hotel features a lobby, safe and restaurant. All rooms are surrounded by a beautiful garden. Guests can take refreshing dip in the outdoor swimming pool in the garden during their leisure time. Daily breakfast, lunch and dinner are available at the restaurant in the garden. Come and stay at this hotel and be assured of a warm and relaxing experience." The family-friendly club resort is situated only 15 minutes' drive from Bali's International Airport (some 7 km), just few steps away from Kuta Beach and the famous shopping and entertainment district of Legian Street.This resort presents traditional Balinese architecture and full service especially for young travellers to ensure their holiday is completely enjoyable and relaxing. It is simply a perfect place to stay for holiday getaway. Offering a total of 166 guest rooms, the air-conditioned resort welcomes guests in a lobby with 24-hour reception and check-out services, a safe and currency exchange facilities. The bar and restaurant provide food and drinks and, for an additional fee, guests may make use of the Internet access and room and laundry services. Those arriving by car may take advantage of the car park.All rooms are uniquely designed in a Balinese style to meet guests' every need with a bright atmosphere and spacious area completed with modern amenities set in a lush tropical garden. The rooms are en suite and equipped with a shower, hairdryer, double or king-size bed, direct dial telephone and a satellite/cable TV. Further amenities include a minibar, fridge, individually regulated air conditioning units and a balcony or terrace.Guests can swim or just sunbathe at the full service swimming pools with swim-up pool bars (fees may apply). Many holiday activities are available and can be arranged by the hotel tour desk, or guests can pamper themselves with a massage by the pool or in the privacy of the guest room (with additional fee). Sun loungers and parasols have been laid out by the pool ready for use, and guests may also enjoy playing table tennis, pool/snooker and darts.A buffet breakfast is served daily at the restaurant. Lunch and dinner are available to be enjoyed à la carte. 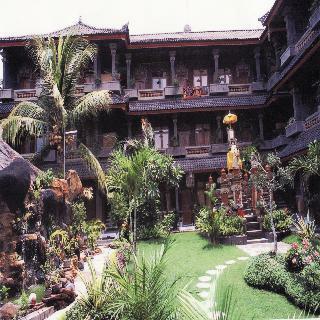 Grand Barong Resort is one of Bali's most renowed and enduring resort. With total 139 rooms, consisting of superior, deluxe, deluxe Lagoon Access, Suite, Executive Suite and Family Suites. The one resort hotel concept in Poppies Kuta, with lush tropical garden, serene ambience and lagoon pool are just a few of its iconic features, infused with modern balinese living interior, five star mattress beds and other posh amenities at you disposal.